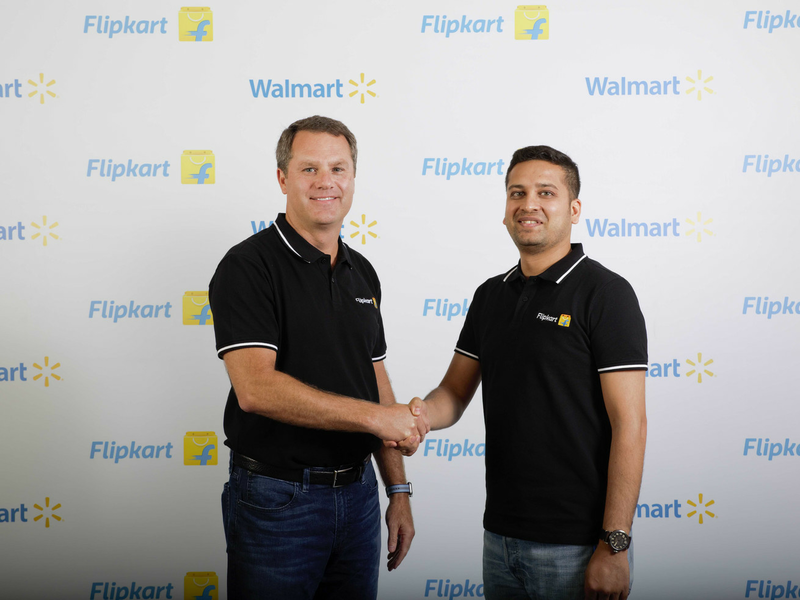 On Wednesday, Walmart said it planned to acquire a 77 percent stake in India’s Flipkart for $16 billion, marking the beginning of its first real battle with Amazon in an emerging market. Wall Street investors did not react favorably to the move, sending Walmart shares down as much as 4 percent during the day. Some of the big questions hanging over the proposed deal include why Walmart wouldn’t instead use some of these funds to try to narrow its massive gap behind Amazon in the U.S., and whether Walmart really gives Flipkart an advantage in India to help it win longterm. But there is a whole bunch of data in Walmart’s corner that supports the risk it is taking. At a very high level, it starts with the size of India — it’s the second-most populous country in the world, just behind China. Of course, that size alone doesn’t matter — rather, it’s the shifting behavior of Indian consumers. India is home to a growing middle class, fueling household spending growth on par with that of China — and at a faster clip than the more mature U.S. market. With a fragmented brick-and-mortar retail market in the country, more of that spending is gravitating online where the Indian shopper can purchase a wide range of products in one spot — whether on Flipkart or Amazon. In 2017, consumers in India spent $21 billion on e-commerce — making it the 10th biggest e-commerce market in the world, according to data from digital research firm eMarketer. What’s more important to Walmart than the current size of the market, though, is its anticipated growth. From 2017 to 2021, online retail in India is expected to grow 141 percent to more than $50 billion. The potential, as a result, is massive. While Amazon’s 2017 global e-commerce revenue of $108.4 billion dwarfed Walmart’s projected $17.5 billion in online sales, Flipkart is the current market leader in India. Need more proof of its importance? India has overtaken China as Amazon’s most important international market, as displayed by discussions on its earning calls.